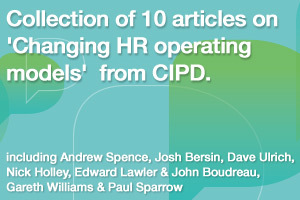 This is a summary of an original article published by Strategic HR Review. In an economic downturn and subsequent recovery, change is inevitable for every organization. Effective Change Management is often a mix of the strategic and the practical. It can encompass everything from ensuring strategies are aligned, to making sure your weekly bulletin goes out on time, on message and to the right people. From a HR perspective, it is important to provide leadership and guidance by example and the following actions can help HR executives to lead the way during the change process. Make sure that HR strategy is consistent with the overall business strategy, and where necessary provide input and ideas into the overall business strategy. Make sure you achieve buy-in from key stakeholders. This can be achieved by clearly outlining your proposed improvements and delivering on project ideas early on. Part of aligning HR strategy with the overall business strategy will be achieved by sharpening your HR operating model and asking how each HR role will support your organization in the next 12 months. You will be better able to respond quickly to organizational changes with better HR systems, more effective processes and better aligned capabilities in place. This allows HR to deal with the next new change more effectively. It is vital to know what drives HR costs. If you know your key performance metrics and what has an effect on them, you can quickly demonstrate that you understand the cost, service and risk implications of any proposed organizational changes on your own department. A good grasp of the cost implications of strategic decisions and the analysis to back it up – really helps when it comes to making changes. By conducting an assessment of the HR department, you get a better understanding of your internal benchmarks. A key metric for HR to understand is the HR “Cost to Serve”of each employee, including staff, systems and third parties. This can vary widely between businesses and geographies and it is important to know why. Take the outsourcing decision to your board – do not let the board take it to you. Be proactive and do the research into how outsourcing could benefit your department (see article Top 5 Benefits of HR Outsourcing)and bring about positive change, as well as cost-savings. Show that you have been actively looking at alternative ways to provide better and more cost-effective HR services in payroll, IT, recruitment, training, HR administration and benefits. Develop your own “build or buy” criteria to help gradually improve HR services. Demonstrate that your business case takes into account the benefits of moving from fixed cost to a more variable cost (that will help in the downturn and the subsequent upturn). There is a balancing act that good HR directors need to master. Often, HR directors are so outwardly focused on supporting the organization that they can neglect the day-to-day workings of their own department. When aligning HR strategy to the wider business strategy, HR directors need to focus on the internal working of the HR department, and most importantly, the people within the HR department. Show leadership through developing your talented team members, and use this as your core team to lead change. Retention strategies start at home, so show the board what you are doing to keep and develop your most talented team members. Be innovative. The organization will look to the HR department to lead on this – secondments, project roles and recognizing excellent service are all initiatives that can inspire people within the organization. All executives in the organization must demonstrate leadership by managing change in a calm and decisive way. HR can stop the organization making “knee-jerk” reactions – more than ever, this is the time to make the right decisions for your organization. Implement changes calmly, effectively and consistently. This entry was posted on Monday, September 21st, 2009 at 10:37 am	and is filed under Change Management, HR Outsourcing, HR Strategy, HR Transformation, Leadership. You can follow any responses to this entry through the RSS 2.0 feed. You can trackback from your own site. Hi – Just discovered your blog… Great stuff! I loved this post and included it in my weekly Rainmaker ‘Fab Five’ blog picks of the week (found here: http://www.maximizepossibility.com/employee_retention/2009/09/the-rainmaker-fab-five-blog-picks-of-the-week-3.html) to share it with my readers. I look forward for most great posts to come!